So you’ve got yourself a water storage tank that’s a decade or more old. 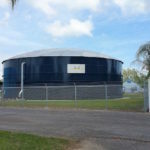 It’s looking a little shabby, it might need some repairs and it’s time to start thinking about the future and what you will do to update that commercial water tank. That means asking the age-old question: should you rehab that tank, or should you replace it? 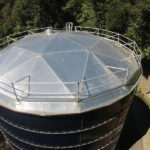 The number one advantage to rehabbing an older water tank is cost. It requires significantly less money to repair and spruce up a tank than it does to replace the entire thing. Rehabbing can also be faster and less disruptive, depending upon your unique situation, especially if you have not yet realized full depreciation from the tank. Repair and rehab are a never-ending process. If you repair once, you’ll repair it again and as the tank ages, the time in between repair work shortens. This means you can easily spend more on rehabbing over the years than simply replacing the tank. Remember: Nothing will restore the tank to its original form. If a rehab company cuts corners by simply cleaning the tank and repainting it rather than sandblasting, that paint will eventually begin to sheet off. Holes and punctures can occur during repair work due to over-rehabbing a tank that has experienced significant corrosion and weakening through the years. Rehabbing merely kicks the can down the road. You will eventually need to replace the tank at some point in the future. Rehabbing does make sense in many situations, but if you’re going to choose repair and restoration work, make sure it is done correctly. Cutting corners to save money now will only lead to more work and higher costs throughout the life of the tank. Replacing a water tank eliminates every headache associated with rehabbing and repairing an old tank. 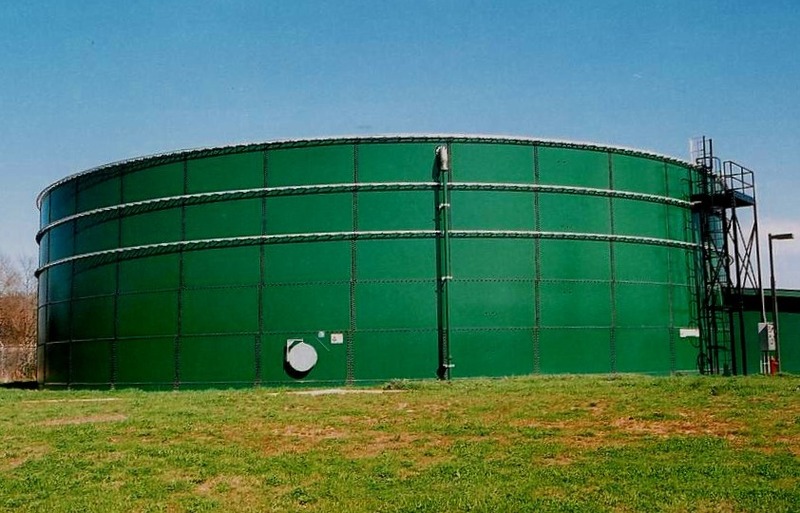 If you invest in a glass-fused-to-steel tank, you can eliminate those headaches for decades, as these tanks do not require paint and they have been proven to last for 20-30 years with very little “TLC” required. 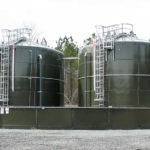 Epoxy tanks are also a good option and come at a lower upfront price. However, they do require more maintenance work over the course of their lifetime. The biggest drawback of replacing a tank is cost. 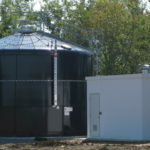 New tanks are not cheap – especially elevated tanks – and depending upon the situation, it may require other significant investments, like purchasing additional land. 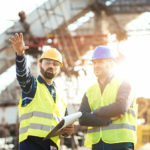 These expenses keep many utilities and business from replacing their tanks, even when the tank is well past its prime. Sometimes, rehabbing makes the most sense based on budget. Other times, there is no way to avoid replacement. You might have outgrown your existing tank, the tank might be too old, too damaged or too corroded to rehab. But a lot of times, the choice involves many shades of gray. In those gray areas, the real difference between rehabbing and replacing a tank comes down to cost. But just how do you boil down to the actual costs of each? In order to make the right choice, you need all of the data you can gather. That means working with a partner who can give you that data with accurate calculations to take to the ultimate decision-maker and holder of the purse strings. The data collector will need to conduct a cost analysis based on square footage. The goal is to achieve real-time dollar comparisons that can give you an accurate picture of the actual cost to rehab vs the actual cost to replace. Even better, future assessments based on the condition of the tank today allow you to estimate how much you might have to invest over the lifecycle of the tank. Accurate calculations are especially important for elevated tanks; and those calculations are often more complicated and nuanced than they are for ground source tanks. Whenever you are considering updating an elevated tank, be sure to gather as much accurate information as possible, as improper data can lead to a big surprise when you’re ready to make a move. So, will you repair or replace your tank? Take the time to gather the data, consider what’s best for your business or utility both today and in the future, and open yourself up to new solutions. When it comes to updating vs. upgrading, knowledge is power.